Online advanced bookings now available! 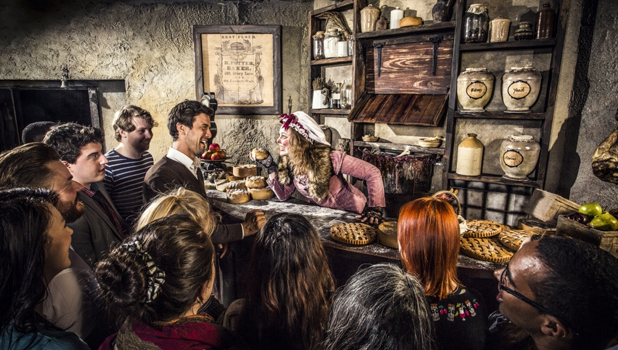 The London Dungeon is a uniquely thrilling attraction that will whisk you way back to the capital's most perilous past. See, hear, feel and (ahem!) smell the chillingly amusing characters of the 'bad old days' as they come to life before you. Will the 19 live shows and 2 thrilling underground rides claim you? Whichever way, it's not looking good for your underwear! Except Thursdays, when King Henry sleeps in until 11.00. Exclusions: 25 - 27 & 31 October, 25 & 31 December.